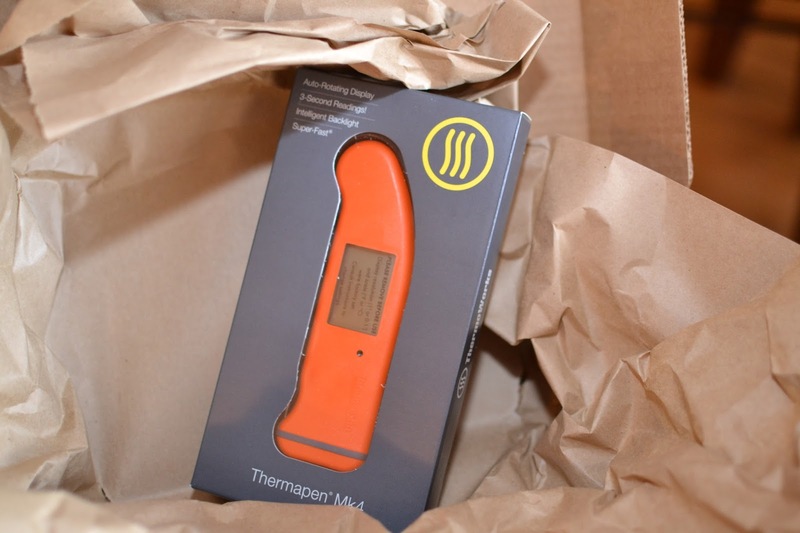 Let me start by saying Thermapen has not paid us a dime for this review, in fact we ordered it on their website and paid full retail. 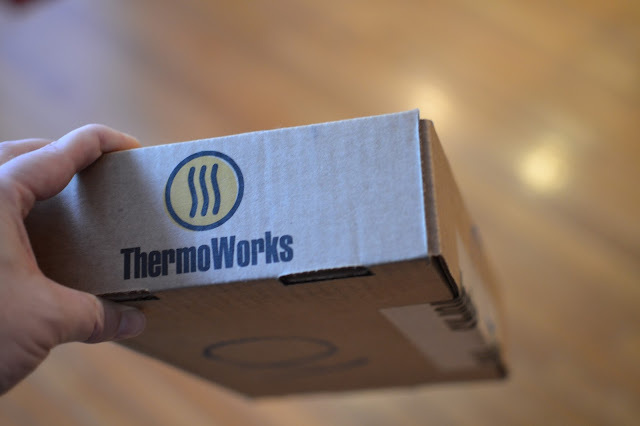 Also, the link we use to recommend purchase is a link to ThermoWorks directly and we get nothing for the link. So basically, ThermoWorks, if you are out there, You're welcome, thanks for nothing. Ultimately, I don't really care, we are about finding the best and this thermometer is it. So let's pass it along. So no drinks for this review. There is no celebration and there is no food. 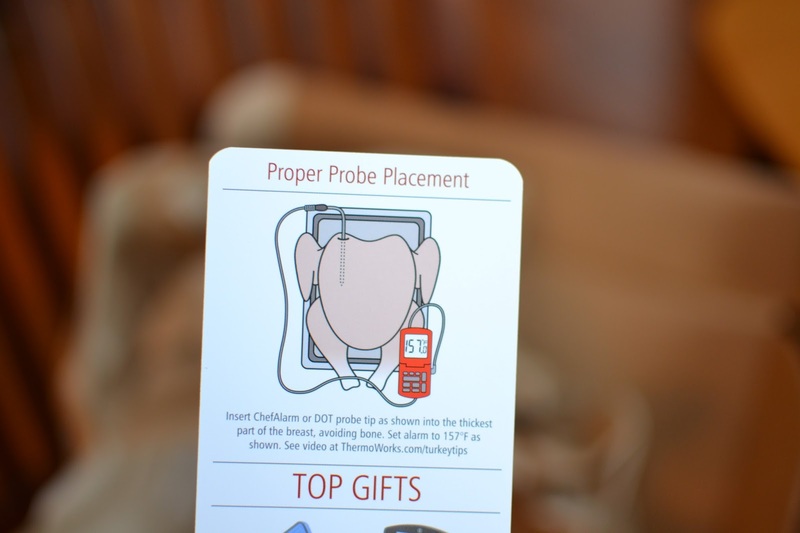 We came across the thermapen while watching competition BBQ shows on TV and realized that everyone was using the same device. I'm guessing product placement and if so, I tip my hat. 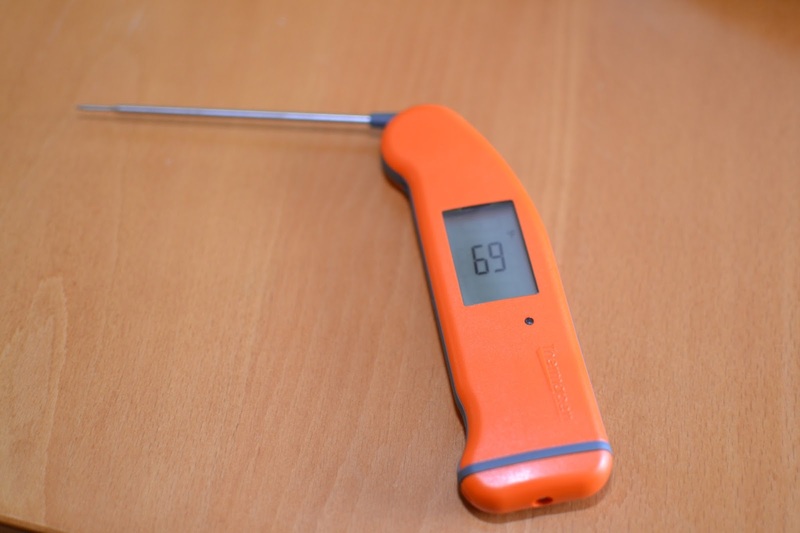 We have had issues with thermometers as you can read about on our turkey breast post. It only takes ruining one or two expensive and time consuming cooks to realize how important an accurate temperature measurement is. The bottom line is don't skimp on your tools. You spent the money on the BGE for a reason so do the same for your thermometer. You won't regret it. 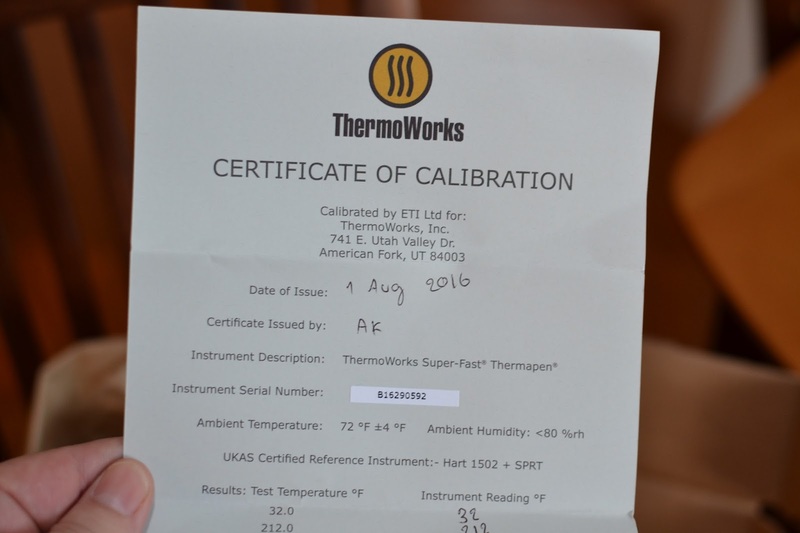 We purchased the Mk4 on ThermoWorks' web site. While they used to sell on Amazon, they don't seem to do that anymore. Note however that there are a ton of look alike knockoff Chinese versions of this thing. Not that Chinese is necessarily bad but in this case. Go for the original. 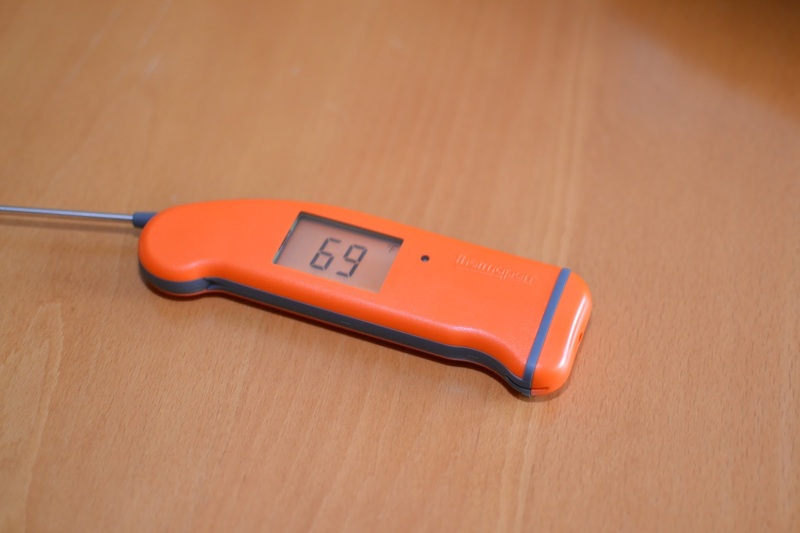 The Thermapen arrived in a few days. 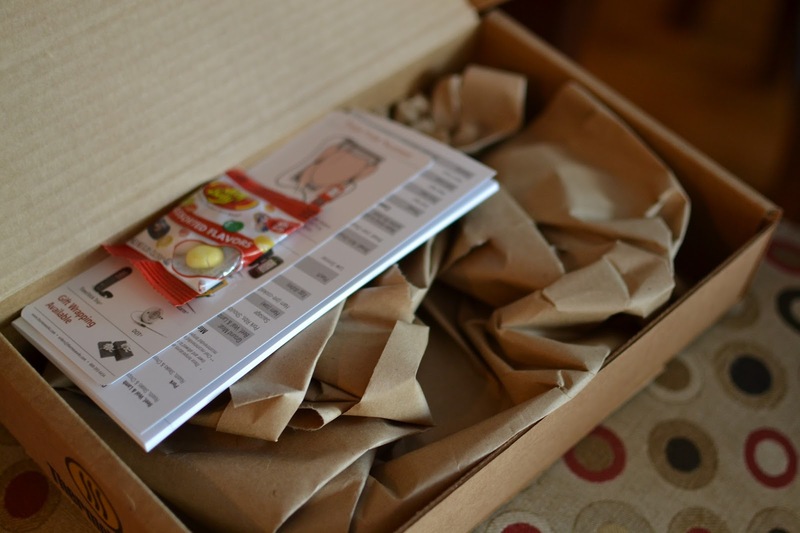 Included in the box: A bag of Jelly Bellys, a great manual, cooking guide and calibration certificate. This is what you pay for. It is very accurate and very fast. Also, insightful advice on how to measure temperatures and the art of carry over cooking. You figure and be that as it may. The Thermapen is heavy and solid feeling. It opens like a knife and turns on automatically when you open it. Also the display automatically lights up in the dark and it auto rotates depending on how you are holding it. The temperature is measured at the very tip and only the very tip. It is helpful to slide it in and notice the difference between the surface temperature and the coldest part of the meat. It explains how critical it is to take the meat off before the coldest part reaches ideal temperature. The hotter part or exterior most part of the meat's temperature will continue to migrate to the center long after you take it off. It is the carryover cook. The best part is that it reads temperatures incredibly accurately and it does it in 2-3 seconds. At about $90 it seems expensive for a meat thermometer but we think it is worth it. The first time you spend 3 hours cooking a turkey and it turns out overcooked, you've paid for it. So go get one, you won't regret it. Also, a nice benefit is the mailing list. While you get an ad for more devices, it also comes with a recipe and recommended cook temperatures for all sorts of stuff. Like bread, cake, and cookies. Things I hadn't considered cooking to temperature before.